Azure Cost management & billing Services help you to understand you subscription consumption based on your utilization per region, resources, services & utilization . Even it will help you to setup an alert if you are bill reaching out to your Subscription budget. Azure cost management has been by default enables and that feature is in preview. Cost management shows the organization cost with advance analytics reports. which will help to understand the billing of your subscription.Using cost management. we can plan & control the cost which is associated with the business. Even it will shows the “Azure Hybrid Benefits, Internal and external cost usage, Azure market place cost (If you buy an third party software/MS additional service) . Services which not included int his like Reserved Instance purchase, Support and taxes. As this services is in preview and may add in coming months. “Azure- Cost management & Billing”. Once you will be in the Cost Management portal. Click on the each of the services: Analyze cost, Monitor Budget, Optimize with Recommendation to get more detail. “Analyze and Optimize cloud Cost-Overview”. Once you click on the “analyze cloud cost” then It’s redirect to cost analysis. We can add the filter and see the bill based on the Organization like, Week, Month, region, resources,services etc vise requirements. you can see the total cost spend is in graphical view. in number 3,4,5 are shown as Services, Location & resource group vise. “Cost Analysis for Azure subscription”. If you want to create an alert. And get the notification. when your consumption reach to your expected budget. It will help you to intimate or sent you an alert to get consumption. Click on the Cost Alert . Resets will be monthly weekly,yearly etc. We can select the start data and end date. Set the alert condition if the amount is exceed 80% of total budget , can tiger an alerts. Provide the Alert recipient ID to get an email alert then create. Azure Advisor recommendation will help you to reduce the cost of the azure Vms, services. And based on the consumption. it will shows the report so you can downgrade your instance . Ideally It’s calculate 2 weeks of data and provide the input. If there are recommendation based on the requirements, then you can perform the action. 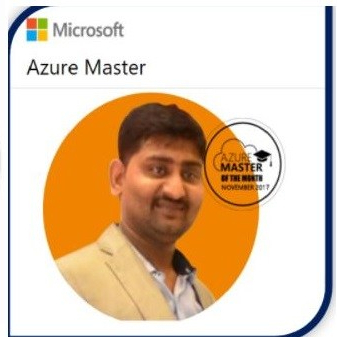 Even it’s also provide the recommendation on azure security , Availability etc. Based on your azure services to improve and enable the feature to secure the subscription.